Tuesday 3rd Sept 2013 @ The Loft Venue @ The Locke Bar, Georges Quay, Limerick. Start 8.00pm sharp! This month our guests are John W Sexton, Louis Mulcahy and Deirdre Hynes PLUS a 10 minute Play and Open-Mic. Deirdre Hines was born in Liverpool. She moved to Belfast shortly thereafter, and from there to Letterkenny in Co. Donegal, where she now lives. She graduated from Trinity in 1989 with a double honours degree in English and Theatre Studies. She has written several plays, of which “Howling Moons, Silent Sons” won the Stewart Parker Award fro Best New Play in 1992. 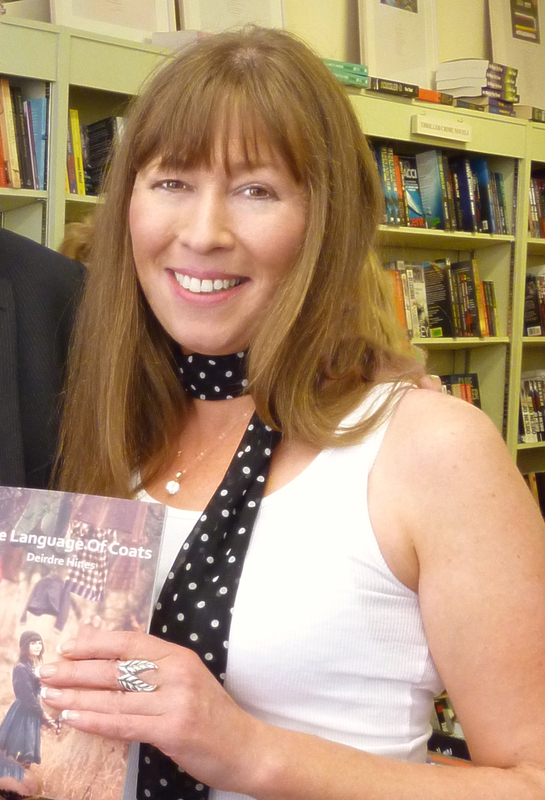 She was short listed for the Patrick Kavanagh Poetry Award in 2010, and won the Listowel Poetry Collection in 2011. She has had articles published in various magazines such as “The Countryman”,”Ireland’s Own” and “Escape”. John W. Sexton was born in 1958 and is the author of five poetry collections, the most recent being The Offspring of the Moon (Salmon). He is a past nominee for The Hennessy Literary Award and his poem The Green Owl won the Listowel Poetry Prize 2007. In 2007 he was awarded a Patrick and Katherine Kavanagh Fellowship in Poetry. 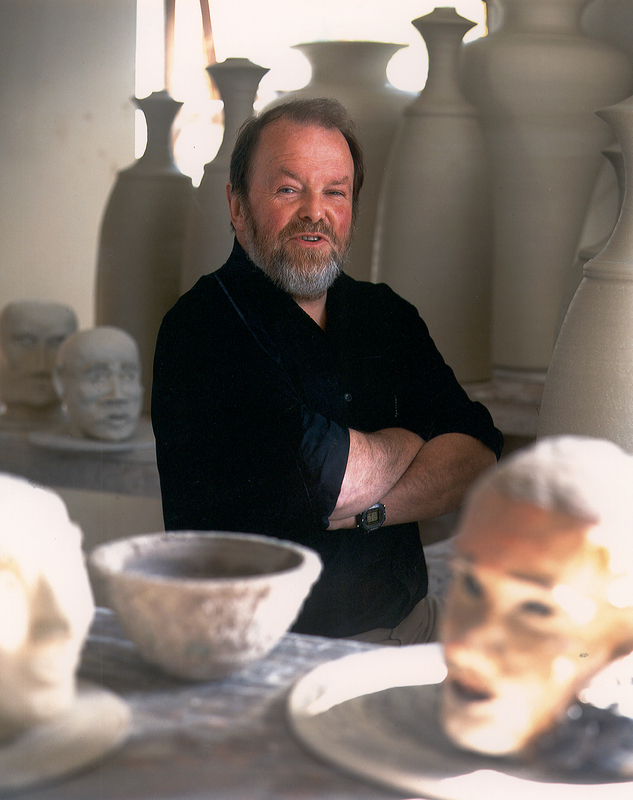 Louis Mulcahy, potter and ceramic sculptor, has been published in many anthologies including Poetry Ireland, The Stinging Fly, Stony Thursday, and read on RTE1, Lyric Radio and Radio na Gaeltachta. 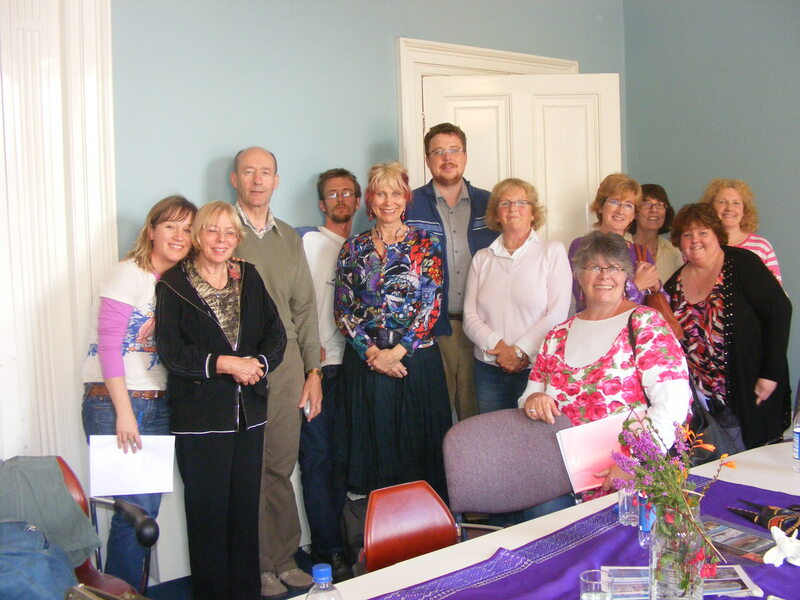 He got to a short list of five for the Collection of Poems competition at Listowel in 2008 and again in 2010. In 2012 he was invited to read at the Spring Poetry Festival in Cork; Féile na Gréine in Waterville and at The Fermoy International Poetry Festival. In 2013 he shared a reading with Paul Muldoon at Féile na Bealtaine. His first full full collection in Irish, Dhá Chlog ag Bualadh, was published by An Sagart Publishing in 2012. His first full collection in English from An Sagart is due out this year. He is Director of the highly successful Féile Bheag Filíochta which takes place on the second weekend of November each year in Ballyferriter and Dingle. In 2004 he received an Honorary Doctorate from the National University of Ireland for his pottery and his contribution to his community. .Everyone is invited to take part in the open-mic after the main event, poets, storytellers, musicians and writers . Even if you don’t write you are welcome to bring something along to read. The night begins at 8.00pm and admission is free. So join us on the night and make this event something special. 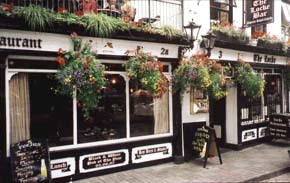 The Locke Bar: New Cultural Hub For Limerick! Celebrating 21 years at the heart of Limerick city this year, The Locke Bar recently marked the occasion by announcing details of its new venue, The Loft, which will play host to theatre, music, literature, comedy, and be available for parties and corporate functions. The Limerick Writers’ Centre are already in residence there since last year with their ‘On The Nail’ literary reading series and now Limerick’s Bottom Dog Theatre Company have taken up residency in the new venue, which is ‘themed’ with memorabilia from Limerick’s theatrical and musical past. Richard Costello proprietor of the Locke Bar has managed, even in these recessionary times, to create a new cultural hub for the city. Also in residency are Limerick Songwriters who have a weekly open-mic session for new and aspiring songwriters. The Locke Bar is now undoubtedly the new home of poetry, literature, theatre and creative and artistic endeavours in Limerick. 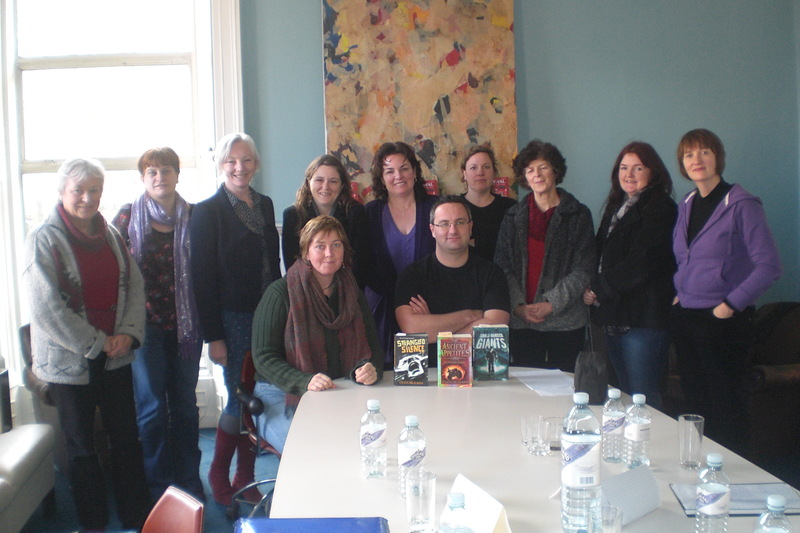 Oisin McGann at the Limerick Writers Centre – Children’s Fiction Workshop. Date: Saturday Feb 27th 2010 Venue: The Limerick Writers’ Centre, 12 Barrington Street, Limerick Time 10am to 2pm Saturday Feb 27th 2010 Fee: €40 (€30 concession). Advance Booking required. Space very limited so book now! Wherever your interest lies in the realm of children’s fiction – be it picture books, early readers or teenage fiction – you cannot miss this opportunity. Oisin McGann is one of Ireland’s foremost children’s writers and a master at communicating the business that is writing. 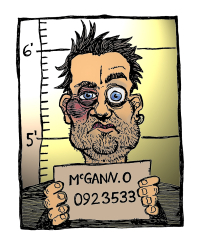 About Oisin McGann: Born in Dublin in 1973, Oisín spent his childhood there and in Drogheda, County Louth. He started writing and illustrating stories in copybooks when he was about six or seven, setting himself on a path that would steer him well clear of ever obtaining of a proper job. Oisin now works full-time as a writer and illustrator. He lives somewhere in the Irish countryside, where he won’t be heard shouting at his computer. In 2009, Strangled Silence was shortlisted for Falkirk Council’s 2010 RED Book Award.In 2008, Small-Minded Giants was shortlisted for the Coventry Inspiration Awards, which are open to any book, rather than just those published in the relevant year. In 2007, Ancient Appetites was shortlisted for the Waterstones Children’s Book Prize. In May 2007, Small-Minded Giants was recommended by the Education Secretary, Alan Johnson and the School Library Association in the UK on a one-off list of Top 160 Books For Boys (No. 44). In 2006, The Gods And Their Machines, published by Tor in the United States, was shortlisted for Locus Magazine’s Best First Novel Award.